Falvey Memorial Library :: Want to know more about natural medicine? Want to know more about natural medicine? Can green tea really be used to lower cholesterol, cure acne, help with athlete’s foot, and prevent cancer? Find out by searching the Natural Medicines Database, now available via a new Falvey Memorial Library subscription. Access this resource via the Databases A-Z list and the Nursing research guide. 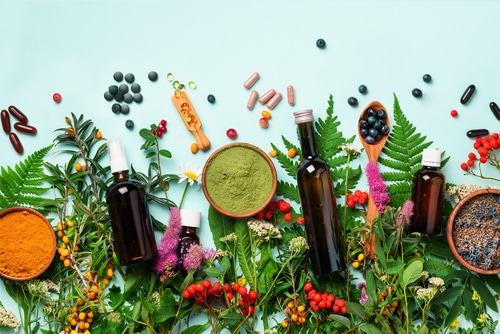 The Natural Medicines Database provides authoritative, evidence-based information on dietary supplements, foods, commercial products, natural medicines, and a variety of alternative therapies. You’ll find effectiveness ratings, safety ratings, and interaction information on hundreds of supplements, medicines, and therapies, based on empirically valid scientific studies. If insufficient data is available to support a claim, the database reports the insufficiency. All of the information in the database is cross-linked in powerful ways, allowing you to search for any condition and retrieve comparative effectiveness information on a variety of treatment options… or, search on any supplement or treatment, and find out which conditions it’s been used to treat. In addition to information directed at practitioners and scientists, NMD offers patient handouts in English, Spanish, and French. Questions or comments? Contact Susan Turkel (susan.turkel@villanova.edu) or Alfred Fry (alfred.fry@villanova.edu) at Falvey Memorial Library.